For years when there had been reports of terror attacks, drive bys, rammings, shootings, stabbings at various roadside bus stops in Gush Etzion and the Shomron (Samaria), I'd be able to say that in Mateh Binyamin our security experts have tried to protect us by not approving roadside bus stops. This has now changed. 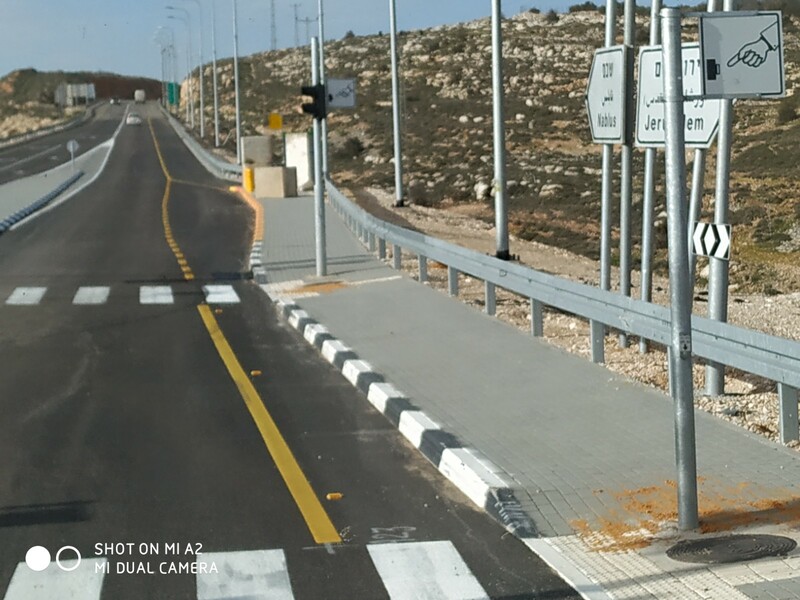 There have always been trempiadas, hitchhiking posts on the main roads, but official bus stops had been restricted to either inside of communities passing guard posts, like in Ofra, Kochav Hashachar and Sha'ar Binyamin or inside junctions, where there are soldiers stationed, like near the gas station on the way to Psagot/Tel Zion. 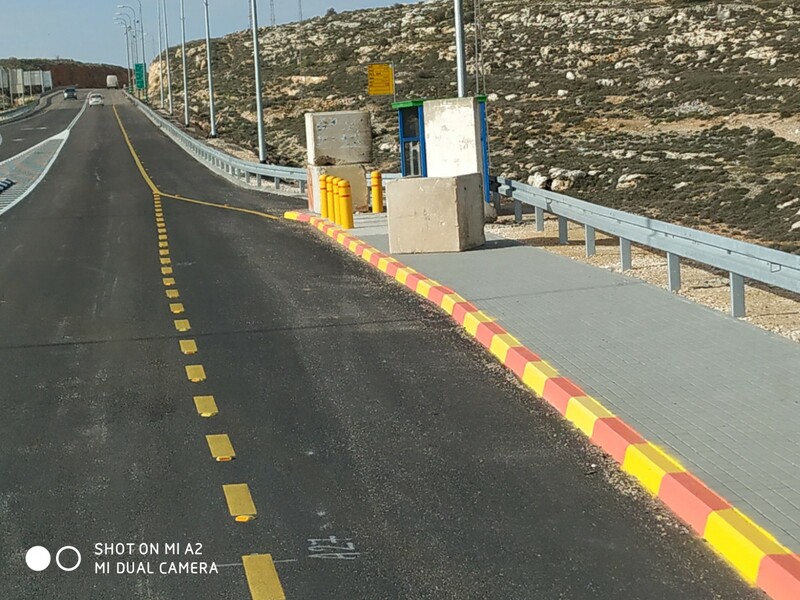 And until two days ago, January 20, 2019, Givat Asaf, the T junction to Beit El and Ramalla. When the road "planners" of Mateh Binyamin "upgraded" that junction, which has been plagued by traffic jams and terror attacks, they somehow forgot that not only are there buses that go to and from Beit El, but all of the buses on Highway 60 in both directions turn in so that passengers can board and unboard. More frequently than you'd like to imagine, the buses got stuck, because various vehicles blocked their way. In addition, there was no coordination between where the buses turned and the exiting bus stop. 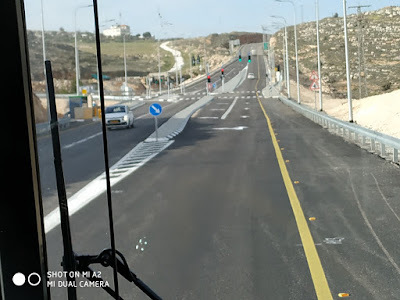 The whole setup had become a major nightmare, but at least if I caught a ride going into Beit El, I could wait relatively safely on the inner road for a bus going towards Jerusalem. For me, ramming terror attacks are something I've experienced, so I fear them more than other terror genres. I was lightly injured in the very first ramming terror attack over twenty years ago. I was horrified to discover that from now on the official bus stops are on the main road. There is now a traffic light, including a pedestrian one, but that decreases security. I've passed by a few times already, and travelers are on their own there. Security personnel stand in relative safety inside structures on the inner road leading to Beit El and Ramalla. There are/were not always soldiers at the gas station and givat assaf stops. And when the attattack occurred at the Givat Assaf stop it was before it was moved, and there were soldiers there. I don't think the new position is really more dangerous security wise, and I think it's better re traffic safety and flow. 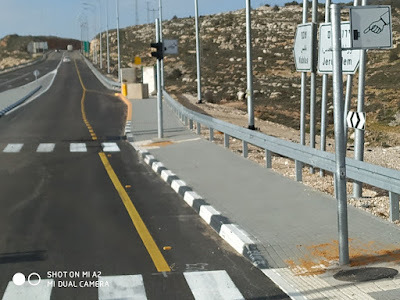 Stops that are completely within yishuvim are definitely safer. I think that is the way it should be. Every bus stop and every Arab car, unfortunately, are a potential terror scene and a terror weapon. That factor must be fogured in to one's desire to tremp. This isn't about tremping. Read carefully. This is an OFFICIAL BUS STOP. There are plans floating around for a traffic light at the Shilo intersection. If busses are allowed to stop on the main street there, then it will be possible to get to the intersection and take a direct bus to Ariel. That would make life easier, but, as you mentioned, would also expose travelers to drive-by shootings and other terror attacks. In the end, the security should be moved to the intersection, but until then? There are pros and cons to the alternatives. they were not happening at that time. because I felt that words would not help. obey the commandments and teachings of the Torah. understand its commandments and teachings. “Al Qaeda seeks to destroy the Jewish state completely. it sees international Jewry and Israel as interchangeable. 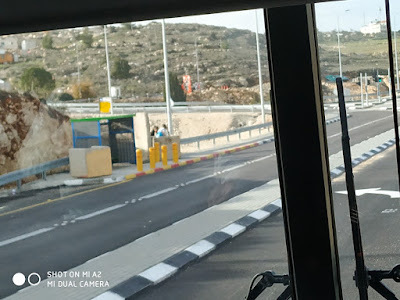 Shlomo, that would really be wonderful, moving the security and having proper bus stops in both directions for all buses that now just pass by Shiloh. In addition it will make it possible for people to easily go to Shiloh Hakeduma by public transportation. Mr C, I was run over, first ramming attack, in early 1996, just before Shabbat Zachor.